Be sure to stop by and meet two new vendors: Anna’s Seafood and the California Cookie Company. 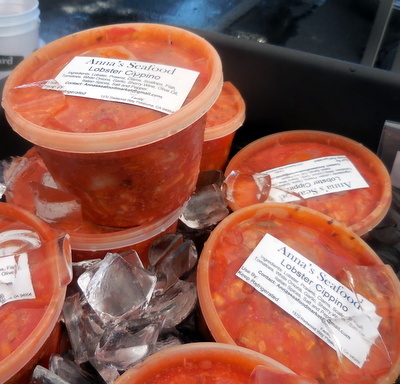 Anna’s has a number of prepared items -salmon spread, lobster cioppino and smoed salmon. 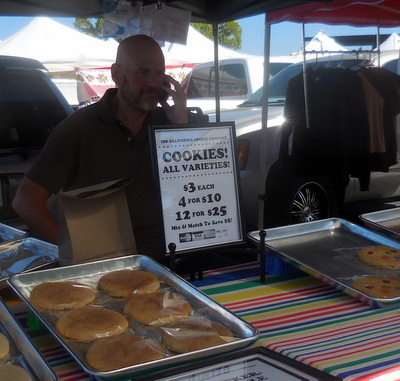 The California Cookie Company has a great selection of giant cookies – if they weren’t so good you could share them . 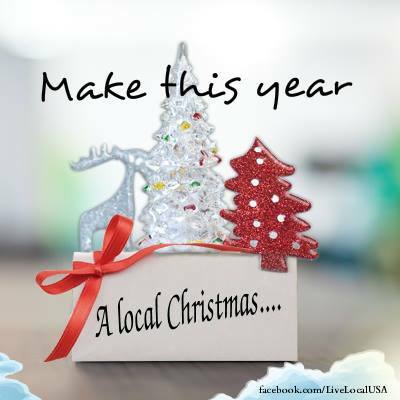 The Wednesday market is the perfect place to do some wonderful holiday shopping and to plan the best and easiest holiday party. If there is a foodie on your list – check out Tierra Vegetables collection of chili pepper products dried, oils, and jams. They are wonderful and beautiful. Ridgeview Farm has beautiful dried arrangements. Berkmans Spices can help you select the perfect blend for every cook on your list. Queen Bee has yummy special recipe granola in lovely packaging. Mi Fiesta should be the first stop for anyone’s party planning. You can get everything from appetizers to dessert – their holiday sweet tamales are a seasonal favorite. Phyis Foods is another must stop. They have stock and other items to make home made easy for you. Full Circle Bakery has panattone for the holidays you’ll want two one for yourself and one to give. 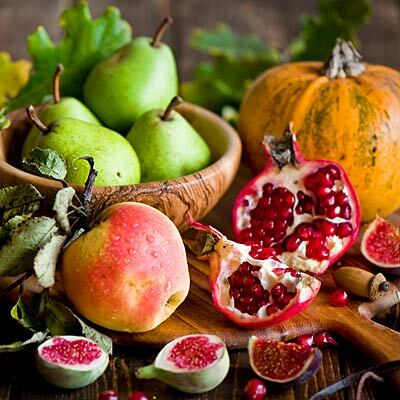 Of course the right now, the market is full of the bounty of fall with pears, pomegranates, and pumpkins coming in. There is still a lot of summer left too especially with the hot weather and warm night temps still wonderful tomatoes, peppers, and corn. It’s officially fall but lots o summer remains at the market, lots of great tasting tomatoes. Welcome back Naure’s Spirit wonderful plant starts for your fall and winter garden. Welcome Heron Fox Farm, home of great almond butter – the secret is toasting the almonds first. The Wednesday market is a shoppers dream. 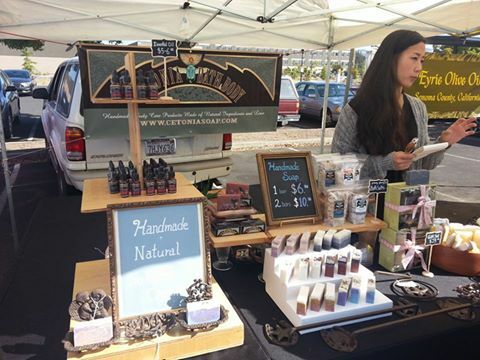 The soapmaker Cetonia has joined the Wednesday market. These handcrafted soaps are sublime and thinking ahead to the gift-giving season – they have some fabulous gift boxes. Straus organic dairy is now at the Wednesday market. Yum and recyclable containers too. Sinful Fusion Turkish street food! 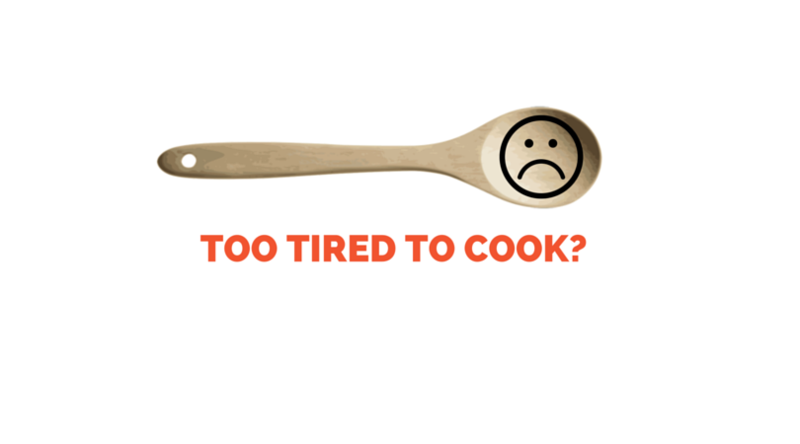 Do you or someone you know struggle to have enough to eat. Wednesday, September 14th there is a special program at the market to introduce Cal-Fresh recipients to the Market Match and shopping at the farmers market. Come even if you just want to learn more about Cal-Fresh and other opportunities for assistance to low-income grocery shoppers. Under the expanded Market Match program, local food stamp recipients will be able to allocate $10 to $20 of their monthly benefits and in return receive $20 to $40 worth of paper scrip to purchase fruits and vegetables at farmers markets. For the North Bay, about $80,000 in federal funds will be provided to shoppers in the next two years, to be augmented by funds from local groups. The Market Match program is great. Many people are helped with the same dollars. The program has 30 regional partners working at 230 farmers markets in the state, an increase from about 150 last year. Low-income shoppers with CalFresh electronic benefits cards currently spend up to $3,800 a month at county farmers markets. The market sales represents a tiny fraction of the $5.4 million that is spent monthly in the county for food by CalFresh clients. If the incentive program can increase farm market sales by even a relatively modest amount, “it would have a significant impact on business for small-scale farmers,” said Grady, who runs the organization’s Petaluma Bounty program. The local markets qualified for the federal aid by raising matching money from such local groups as Kaiser Permanente, St. Joseph Health, Petaluma Healthcare District, Slow Food Russian River and the Santa Rosa Sunrise Rotary Club. Questions contact: Suzi 707 364 9118 or email suzi@petalumabounty.org. 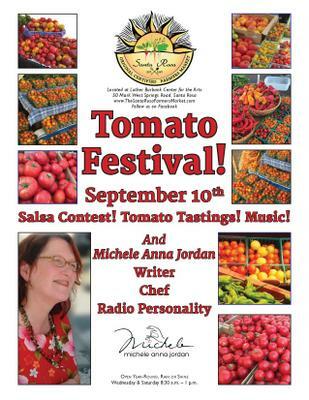 The market’s annual Tomato tasting is this Saturday. And a salsa tasting too! It’s lots of fun and family-friendly and free. Wednesday and the best pop-up neighborhood shopping is at Luther Burbank Center for the Arts. There is no better selection of Sonoma grown produce and lots of ready to eat treats too. New to the Wednesday market, Mi Fiesta has a wonderful grab and go breakast burrito, Eyrie Olive Oil produced in Petalume, and Celdron handcrated products for bath and body. If you are grilling this weekend, John Ford Beef is here – the best hotdogs. Owens Family Farm has a great array of other meats including lamb and pork –and the best bacon. Oz Family Farm brings rabbit to the market- that would be a change from your average Labor Day Picnic. Pepper Ranch has wonderful chicken. If you’ve only had supermarket chicken you don’t know what you are missing, It’s like the best butcher shop in Sonoma County. Getting ready for the final fling of summer — Labor Day weekend? We are all about the apple this Saturday. Fresh pressed juice and a cool apple-broccoli salad to try out. Of course, it’s apple season and pears too. Bella Ridge is back with wonderful organic pears and apples. The Dean Family farm has a lot of apple products breads, butters, and fruit leathers and juice. 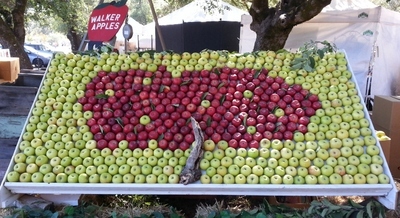 Walker Apples is here with a succession of apple varieties through the season and pictured is their display from the Gravenstein Fair this year.